Here are 10 best Android and iOS APP development courses for beginners, and you can become an mobile APP developer by learning their detailed tutorials. Provide the technical support, and responsible for the product online, subsequent versions of the update. You can become a junior APP developer by learning their tutorials with the following 10 APP development courses. Udemy not only opened up a variety of courses, but also opened up teaching opportunities. That is, you can become a teacher as long as you want. Users can learn any course on the platform at any time, you can also set up your own courses, and introduce your own expertise and knowledge to the world. The cost of the course is determined by the teacher, usually ranging from $20 to $100 The program development category includes web development, mobile application development, game development and so on, to meet different needs of the work. About this course: You can develop an iOS APP by learning this course without any development knowledge, and get an APP development job on a freelance website. Student rating: "Great course, thank you, Rob! Tremendous value and worth every penny. I would recommend it to anyone wanting to learn iOS 10 and Swift 3. No prior coding experience required. I look forward to taking another of Rob's courses. "Happy coding. " 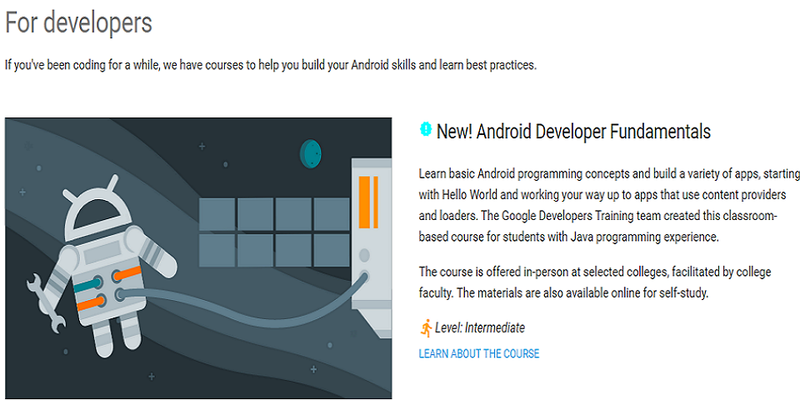 About this course: The course focuses on introducing Android studio, Java code, and advanced Android features, and teaches you how to use maps in your APPs, how to storing data permanently. Student rating: "If you are planning to build an android yourself from zero knowledge, this is a great place to start." Udacity is a profitable online education organization. It includes not only video but also its own learning management system, built-in programming interfaces, forums and social elements. About this course: Udacity 's iOS Engineer Nanodegree Program gives you the foundation to become a Silicon Valley-standard engineer; let you get the latest iOS technology! And you will challenge the real-world projects designed by Silicon Valley experts, and develop iOS APPs on your own and get iOS expert line-by-line code reviews and 1-to-1 tutorials. You will have your own portfolio that will make your resume stand out after graduation. About this course: The goal of this course is to help students get started as an Android engineer without any programming background. After successfully completing the project, you will have sufficient experience to develop an Android APP of your own and will get Google certified. edX is an open online course website that provides online academic courses for students worldwide, offering a wide range of courses and including many free courses. Unlike other online learning sites, EDX is a non-profit organization. About this course: This course is for students who are new to programming and want to learn how to develop Android applications. You will learn some of the key principles behind Android architecture, and the processes involved in developing Android applications, familiar with Android development tools and user interface design. By the end of the course, you will create two simple applications that you can share with your friends. Their Android lessons are taught by Google APP development experts. Simplilearn provides short-term online training courses and offers more than 400 courses in IT, programming, digital marketing, and project management. About this course: It’s very suitable for beginner Android APP developers, you can fully learn the basics of Android development and publish the application in Google Play Store. This course takes you through the Android architecture and provides hands-on training with 2 popular basic APPs developed within the course. Google developers training will provide certificated teaching resources and certification exams to teach you to be a true APP developer. "Let's grow with Google." About this course: Whether you are a beginner or a seasoned developer, there is a rich set of lessons to teach you how to develop Android APPs, from simple basics to optimizing your APP's performance. 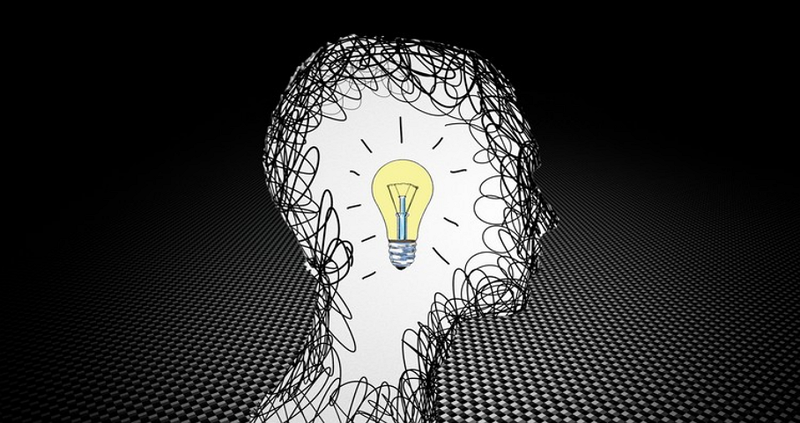 Coursera is an online course site founded by Stanford professors Andrew Ng and Daphne Koller. It offers various majors and degrees in Engineering, Humanities, Medicine, Biology, Social Sciences, Mathematics, Business, Computer Science, Digital Marketing, Data Science and more. As of October 2017, Coursera has over 28 million registered students and more than 2,000 courses. About this course: This course covers a lot of topics include: Xcode Fundamentals, Core iOS and Cocoa Touch frameworks, simple user interface design, MVC architecture, and more. Currently, this course is using Swift 2 to teach. APPCoda is an education startup that specializes in teaching people how to learn Swift and iOS programming. They provide high-quality, easy-to-read iOS programming tutorials for those who want to learn iOS programming and pursue application development. About this course: APPcoda provides many tutorials for beginners who do not have any coding experience, as well as developers who have some iOS programming experience. All tutorials listed on the site are completely free. Just follow the tutorials to get started with your APP development. Treehouse is an online technology learning website that offers web design, web development, mobile application development, and game development for beginner to an advanced course taught by experts in their specialized fields. About this course: This course provides the basic knowledge of iOS development and introduction of the new features of Swift 4. There are many practical exercises. For example, it will teach you to create a Selfie APP or a hotel review APP. Code School is an online learning website that provides code courses, and all aspiring developers can learn development resources through the entertaining way. 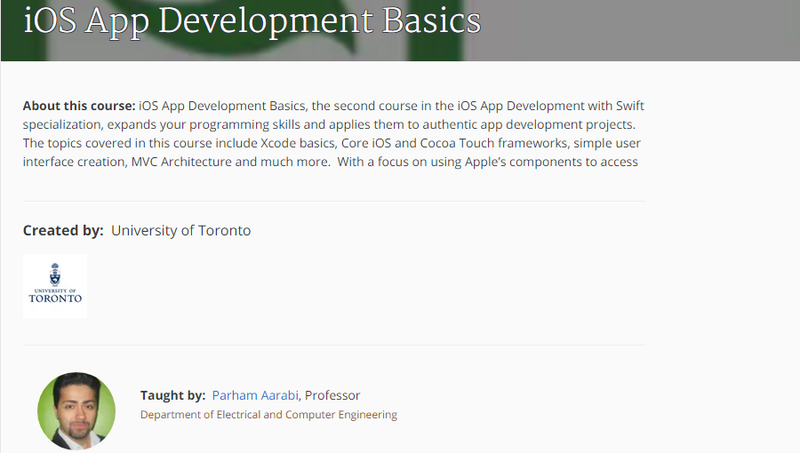 About this course: This course focuses on how to use Swift or Objective-C for iOS development. About this course: In these courses, you will learn how to create Android applications from beginning to end by using Android Studio with Java. You will also learn how to create your APP's layout, display data, create event listeners, make Internet requests, and much more. Raywenderlich was created for providing learning tutorials and programming resources for iOS and Android development. About this course: The course covers all the knowledge of iOS development, and guides beginners to use Swift to create their own APP. About this course: Want to learn how to use Java and Kotlin to develop Android applications? More than 25 free Android development tutorials collected here cover everything you want to know about Android development! The above 10 APP development courses for beginners cover everything you want to know about iOS and Android development. All the beginners can follow these tutorials to create a beautiful APP of your own, plus, here are the best app prototyping tools for your mobile APP developmentand can get you a junior APP development job easily.